A university vice-chancellor was killed when overhead power cables came down during a storm in Devon. 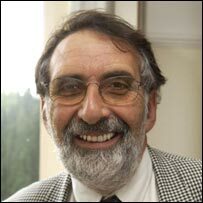 Prof Roland Levinsky, 63, of the University of Plymouth, was walking his dog when the accident occurred in a field in Wembury on Monday. He was appointed vice-chancellor in September 2002. He was a professor of medicine in Plymouth and professor of immunology at the University of London. The coroner was informed of the death after emergency services were called to the field behind Warren Close in Wembury at about 1245 GMT on New Year's Day. The University of Plymouth confirmed his death on Tuesday. A thunder and hail storm was passing over the area at the time. 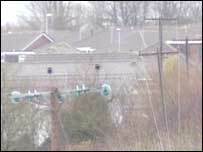 About 1,400 households had electricity cut off as a result of the cable fall. Engineers later restored supplies. Police cordoned off the junction of Warren Close and Hawthorn Drive for three hours as part of their investigation and while engineers from Western Power restored supplies. Prof Levinsky trained as a doctor, specialising in paediatrics. He worked for several years at the Great Ormond Street Children's Hospital in London. In 1990, he was appointed as dean and director of research at the Institute for Child Health in London. He was appointed in 1999 as vice-provost for biomedicine and head of the graduate school at University College London. He was the author and co-author of more than 250 scientific papers, reviews, chapters in books, and editor of two multi-author books. His research interests included bone marrow transplantation, the molecular basis of immunodeficiency diseases, gene therapy and stem cell biology. The university's board of governors said Prof Levinsky, who was also the university's chief executive, would be remembered for his huge contribution to the life of the university, the city and the region.